What is the Zipper Method designed to prevent? Belgium mulls new traffic control methods. update 14 February 2014: the new Late Merging rule becomes law in Belgium on 1 March 2014. ANXIETY about whether they’ll be left out in the cold leads many drivers to merge well before lane closures. The problem is that ‘early merging’ leads to unnecessary congestion as traffic backs up further and further down the road. ‘Late merging’ – the Zipper Method – where traffic mixes just before the lane closes reduces queues by up to 50% apparently (though it doesn’t actually improve throughput). ‘Reißverschluss’ is already law in Germany (sign above) and Austria (sign below). Now Belgium wants to get in on the act. Transport minister Melchior Wathelet is looking to introduce a €55 fine for drivers failing to obey late merge rules. 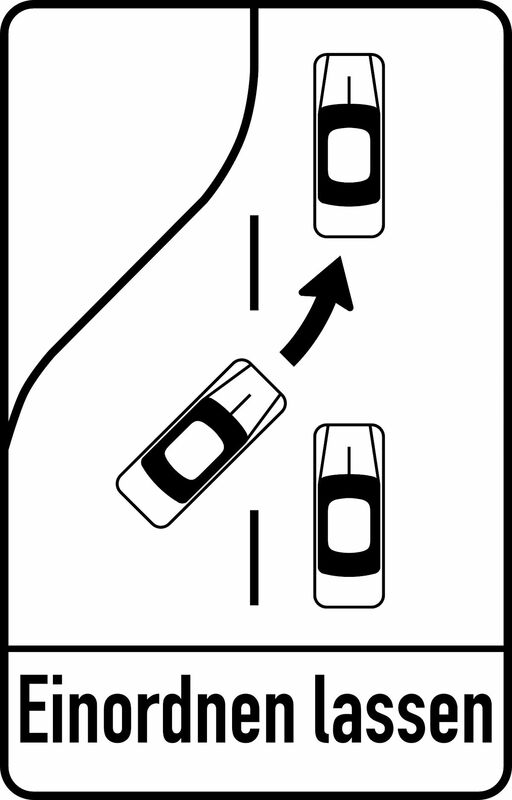 The method also depends on traffic in all lanes adopting the same speed some 300m before the lane closure. The fine will apply not just to drivers in the closing lane merging early but also those in the free moving lane not letting others into the queue.